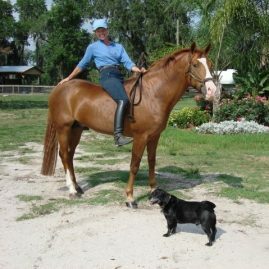 We are sad to report on the passing of our beloved New Forest ISR sport pony Forrest Flame (aka Jacodi’s Anja’s Amoz). We purchased Forrest from his breeders, the Jochems Family, in Holland as a weanling and raised him here at Trevelyan Farm. As a young colt he had a zest for life and an incredible sense of humor, which stayed with him until the end. Many of us who had the honor of caring for him or being connected to him in any way have our own special memories. Hopefully, these memories will bring a smile and a chuckle when thinking of him. 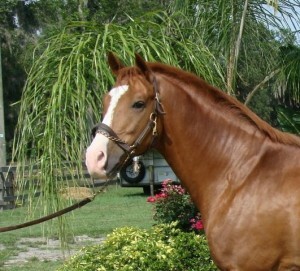 He was definitely one of a kind and a very special pony. 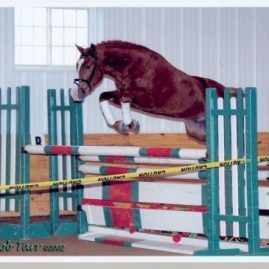 In 2002 at Paxton Farm, three year old Forrest Flame was the first pony stallion to go through the Stallion Performance Testing. He jumped as high as the big boys, and was everyone’s favorite. 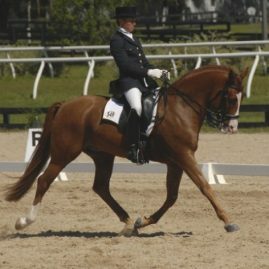 He spent much of his time in Florida with USDF Gold Medalist Jill Hardt training and competing through to Fourth Level. Jill had great success with Forrest and much fun was had along the way! He was gelded in 2008 and subsequently sold to the Richards family and young rider, Morgan Richards, where the pair were lucky enough to remain under the schooling of Jill at Tristan Oaks. In 2014, Morgan and Forrest were Region 1 Junior/Young Rider Training Level Champion. 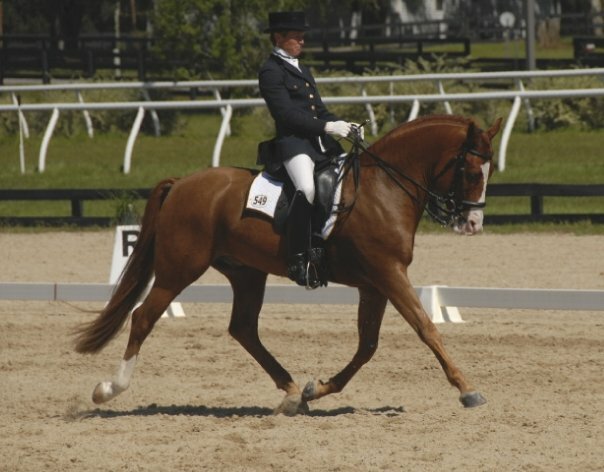 Although Forrest Flame was campaigned in dressage, he was an equally talented jumper and has sired offspring in all disciplines: dressage, jumping, eventing and also driving. He sired many high scoring Premium Foals and Premium Mares and is the sire of approved and licensed pony stallions Brilliant Buckley and Forrest Prince. His offspring are proving a formidable force in the show ring and like their sire, have the heart to excel in their sport. 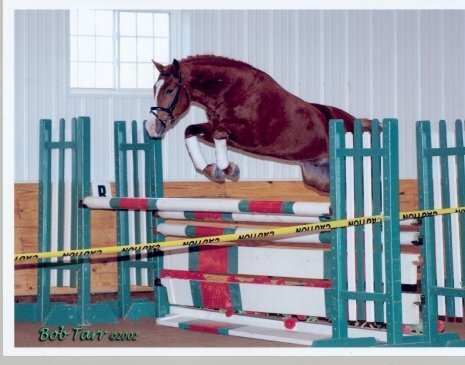 You can clearly see this in his daughter, super 2* eventing pony Forrest Nymph. Forrest Flame was a significant influence in Sport Pony breeding in the USA, and for me and many other breeders, he helped shaped our pony-breeding program.